Find more public presentations of the project, and more international events. Read the eight interviews of the CHOReVOLUTION project members including three video interviews, each participant explaining his role in the project. Claudio Pompilio and Alexander Perucci from the University of L'Aquila are showing how the CHOReVOLUTION platform can help create value in multiple ecosystems with fast changing environment, through distributed applications integrating things and services. First, Claudio Pompilio is focusing on the development approach using standard BPMN 2 modellisation. Then, Alexander Perucci is showing a live demo of the CHOReVOLUTION platform, leveraging service choreographies, execution middleware and cloud deployment. IoT is not just about connecting and managing devices and the data they generate, it is also about integrating them with existing information systems. Creative ways of doing just this are being developed. 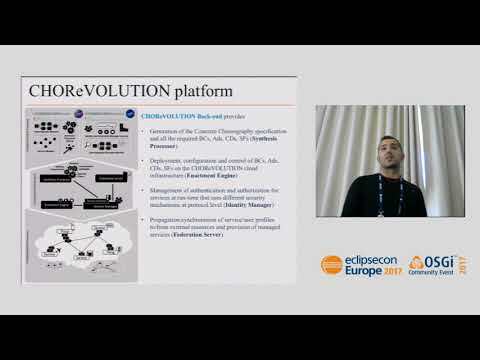 Here is CHOReVOLUTION, a new IDRE for developing IoT-enabled applications. 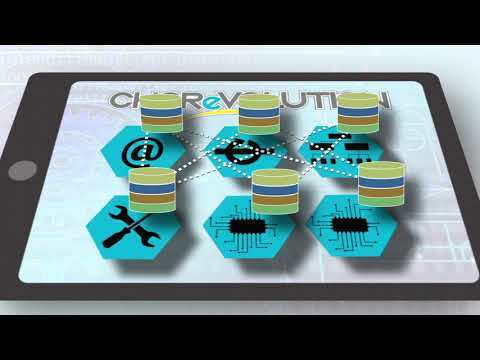 CHOReVOLUTION helps create value in sectors such as Smart Manufacturing, Smart Mobility, Smart City, Smart Retail, through distributed applications integrating things and services. CHOReVOLUTION leverages the latest in EU-funded research on service choreographies, execution middleware and cloud deployment from a consortium of eight European organisations. From Code to Product, from Myth to Reality, the CHOReVOLUTION project is achieving its goal by delivering a dynamic platform during its third and last year. 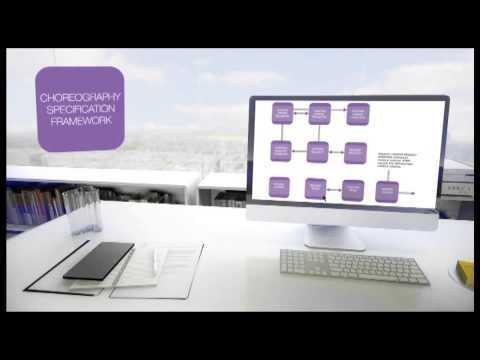 More precisely, the CHOReVOLUTION Studio is addressing scalable IoT/IoS applications based on choreography modelling, synthesis, adaptation, service bus, security, and cloud. 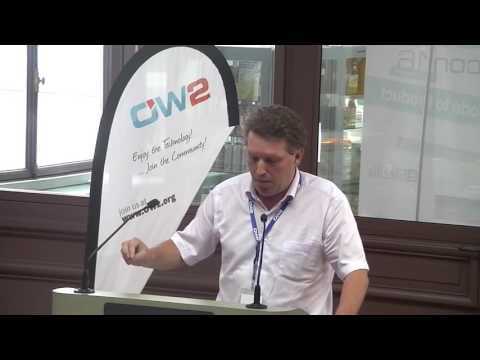 It aims at integrating as much as possible existing web services to create new innovative solutions.The first applications developed for evaluating the solution have given different feedback allowing us to improve the solution in order to reach a first level of maturity.The CHOReVOLUTION software are published under an open source licence and made publicly available through the OW2 community. This presentation was provided during OW2con'17 by Sébastien KELLER, THALES R&D Manager. 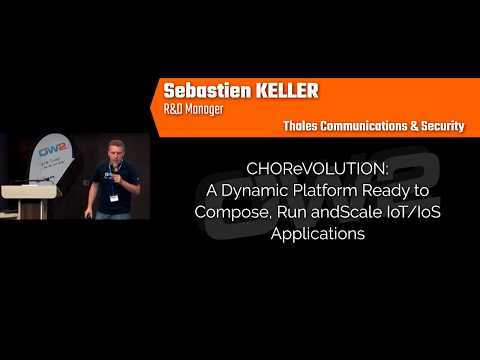 The CHOReVOLUTION Studio is addressing scalable IoT/IoS applications based on choreography modelling, synthesis, adaptation, service bus, security, and cloud. It aims at integrating as much as possible existing web services to create new innovative solutions. The first applications being developed are in the Intelligent Transportation Systems and Smart Tourism domains, with benefits in terms of time-to-market, agility, dynamism and cross-organization coordination. 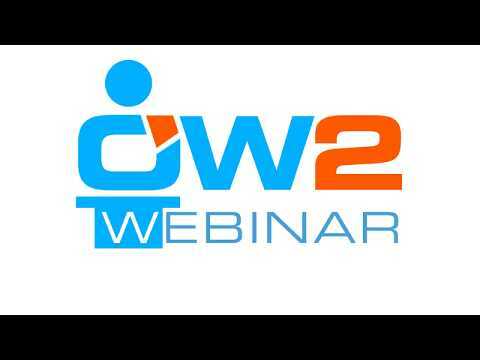 The CHOReVOLUTION software are published under an open source licence and made publicly available through the OW2 community. This presentation was provided during OW2con'17 by Sébastien KELLER, THALES R&D Manager.